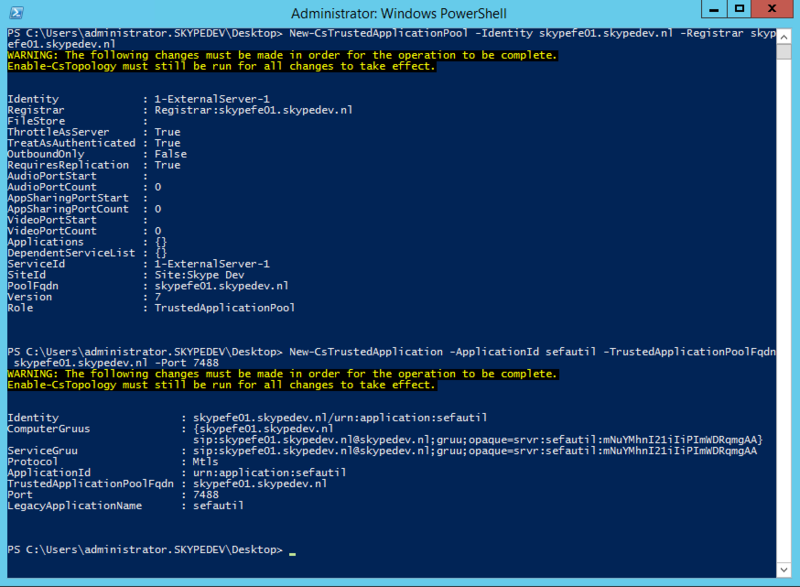 SEFAUtil (secondary extension feature activation) is a command-line tool that enables Skype for Business Server 2015 communications software administrators and helpdesk agents to configure delegate-ringing, call-forwarding, simultaneous ringing, team-call settings and group call pickup on behalf of a Skype for Business Server 2015 user. The tool also allows administrators to query the call-routing settings that are published for a particular user.The SEFAUtil tool allows the administrator to enable/disable/modify call forwarding or simultaneously ringing on behalf of the user. The administrator can specify the target (in the form of a SIP URI) or use a target that has already been published by the user. This tool also allows administrators to add or remove delegates or team-call group members on behalf of the user.This tool is built on Microsoft Unified Communications Managed API (UCMA) 3.0 and requires that administrators create a trusted application in the Central Management store for SEFAUtil. SEFAUtil (secondary extension feature activation) enables Skype for Business Server 2015 administrators and helpdesk agents to configure delegate-ringing, call-forwarding, simultaneous ringing, team-call settings and group call pickup on behalf of a Skype for Business Server 2015 user. This tool also allows administrators to query the call-routing settings that are published for a particular user. 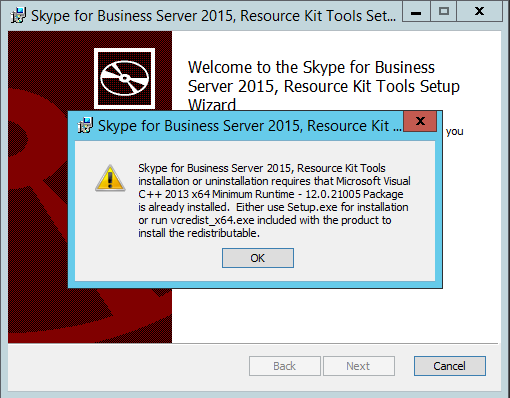 Login to the Front End Server and open Skype for Business Management Shell. We need to create a Trusted Application Pool. When you create a pool, if using Standard Edition, a single Trusted Application Computer is fine, although when using Enterprise Edition, define a pool consisting of all of your deployed front end servers. Since there are some problem’s installing the Skype for Business Resource Kit i’ve made a workaround to deploy the Resource Kit for SEFAUtil. 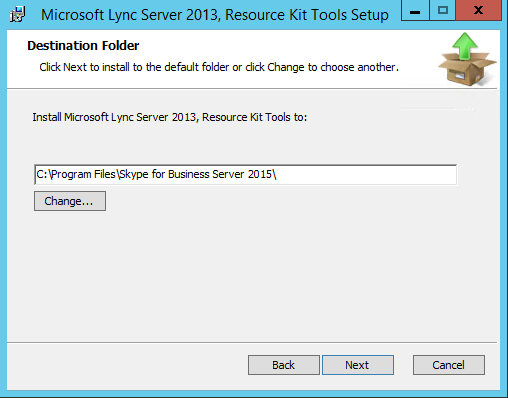 Now first let’s download the Lync Server 2013 Resource Kit (Click Here). Now use a tool like 7zip to extract the OCSReskit.msi file. In the extracted files you’ll find the file “File_sefautil.exe”. Copy the file to a temp location en rename it to “SEFAUtil.exe”. Go to the “C:\Program Files\Skype for Business Server 2015\ResKit” folder and rename “SEFAUtil.exe” to “SEFAUtil.old.exe” or something similar (Just in case you will have problems). Now copy the the SEFAUtil.exe from the temp location to the folder. Also check out the SEFAUtil GUI from Johan Veldhuis, this one is great! If you have any questions, comment below I am always happy to help you!